At this point in the year most of the growing season is behind you. Now that the end is in sight, it’s time to see the payoff for all your hard work and planning. We’ve pulled together a few data tips to help you get the most out of this harvest. #1 – Is the field ready to go? Top of mind at harvest time is the question: Is this field ready to harvest? Hand shelling a few ears and testing them with your handheld moisture tester is a great way to spot check grain moisture. It’s worth noting handheld tester’s results can vary widely even if regularly calibrated against your local elevator’s moisture tester. But hand shelling lots of fields can be both very time-consuming and possibly impractical to get a truly representative sample across the entire field. With Climate Basic you can track growth stages so that you can see when your crop is reaching maturity. Using this information, you can look across your operation and put your harvest plan together by figuring out which fields should be ready first. To get this information from Climate Basic, you first need to enter your planting information. To learn how to enter your planting information in Climate Basic, visit www.climate.com/harvest. Of course, even the best plan needs to adjust for the weather. In addition to watching the radar and 7-day forecasts to understand the likelihood of getting into the field, it might be worth monitoring other field conditions such as dew point, soil moisture, and wind speed. 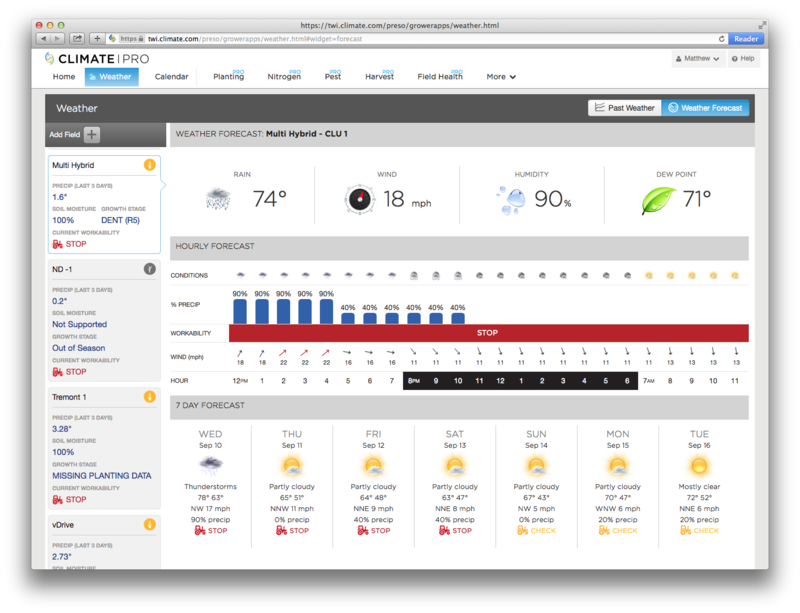 You can access all this information for each field in Climate Basic under the Home and Weather tabs. Understanding the likelihood of a strong storm in the coming days that could cause stalk lodging will also help you consider the value of leaving the crop in the field a few more days versus the cost of bringing it in today and paying for extra drying cost. Harvest is your one chance to see what worked this year and what didn’t. So it’s worth investing the time to calibrate your yield monitor to make sure you can trust the data coming off the field. 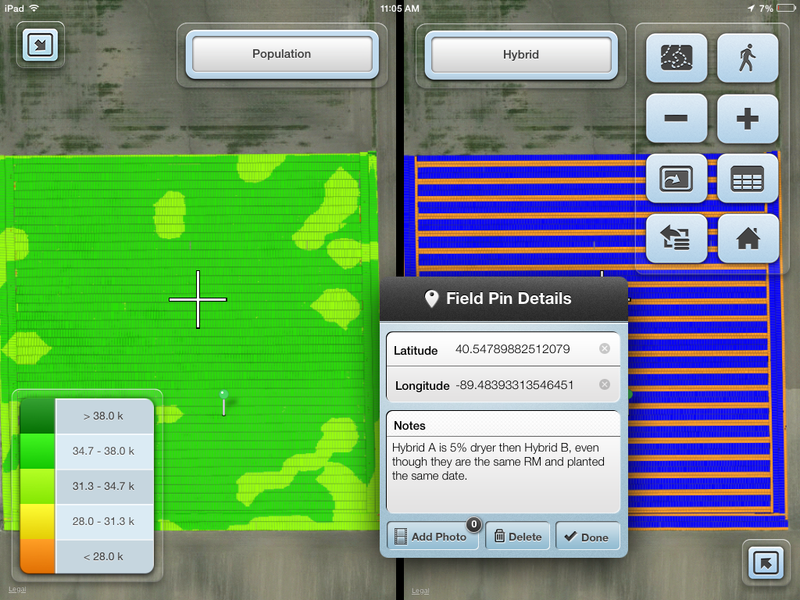 Below are two yield maps from the same field. The map of the left was calibrated poorly, while the map on the right was calibrated correctly the following year. 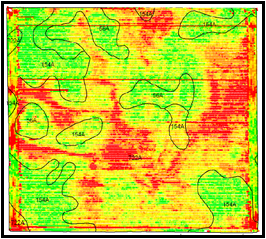 Which yield map can you make better management decisions from? And if you have questions, you can always call your local dealer for additional support. 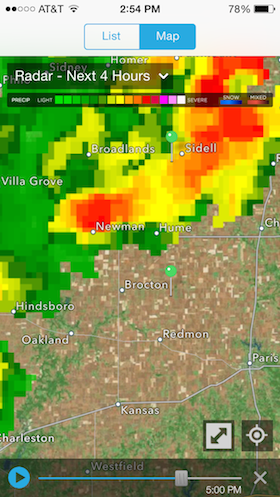 Also handy while you are out harvesting, is Future Radar in the Climate app. It helps you keep track of any incoming rain storms over the next four hours and is updated every 15min. Now that harvest is underway and seed selection ramps up, why not record what you see in real-time and try to make some notes of what worked and what didn’t as you harvest? Field conditions: How did the hybrid do in different field conditions (e.g. slope, soil types, etc.)? Practices: Did different field management practices (e.g. tillage, tiling, nitrogen rates, etc.) affect yield? Population: What was the best population for the hybrid? Trait performance: Did you see any differences in resistance to pest or disease pressures? Physical traits: Did the plant stand well or was there excessive lodging? Did the hybrid dry sooner or later than another hybrid? You can easily log harvest notes in the Climate Basic app by clicking on the checkbox icon and then the “+” icon in the top right hand corner. Or if you are a Precision Planting® customer you can access your planting maps or make notes via the FieldView® iPad® app. Having all of this information at your fingertips while harvesting can get you a jump start on making farm management and seed selection decisions for next year. 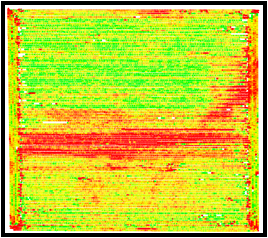 How do you use data at harvest time? We’d love to hear your tips on how to use data to get the most out of harvest. Please share them at feedback@climate.com or post them below.